The thin film of a vertically aligned tree-like carbon nanostructure is synthesised to study its performance as a novel electrode material of the electrochemical capacitor. The individual constituent nanostructures of the film are multiwalled carbon nanotubes aligned perpendicular to the substrate with carbon films attached to it like branches. This unique nanostructured carbon thin film has a regular geometrical arrangement with a very high surface area due to the distinctive structural morphology along with a good contact with the conducting substrate on which it is directly deposited. This makes the material an attractive candidate as the electrode of an electrochemical capacitor. The performance of this nanostructured material has been studied in a symmetric two-electrode configuration. 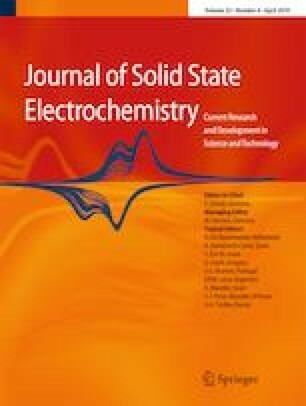 The material has shown an electrochemical double-layer capacitance-type behaviour, the characteristic of carbon-based electrodes, along with a good cyclic retentivity. The material has shown a specific capacitance of 0.55 mF cm−2 (3.7 F cm−3) at a current density of 0.88 mA cm−2, while the aligned carbon nanotube films of similar thickness has exhibited a specific capacitance of 0.08 mF cm−2 (0.66 F cm−3) for the same current density. A part of this research is performed using the Micro and Nano Characterisation Facilities (MNCF) at the Centre of Nanoscience and Engineering (CeNSE), Indian Institute of Science, Bangalore, India.